We are a professional provider of high-quality handyman services Acton. Both residential and commercial clients can take advantage of our competitive price rates and outstanding services. With more than 10 years of experience, the craftsmen who work for us have repaired all kinds of things in Acton. They can be hardly surprised by an odd job because the reliable technicians have seen almost everything in the home restoration business. Why Choose A Handyman Acton? Every handymen has a lot of in-field experience. Reliable Handymen Every handyman Acton we work with is carefully background - vetted & carries ID. Clear Pricing System Our pricing system is transparent, we don't have hidden rates. Flexible Booking Slots We offer a variety of booking slots - we work on weekends & public holidays. Let the professional painters breathe a new life to your property. You can count on us for wiring, re-wiring or changing light bulbs. 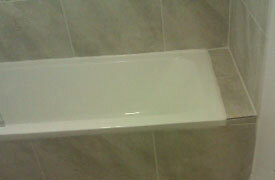 Use us to lay, re-lay & repair your bathroom & kitchen tiles for you. We assemble, disassemble, lift & shift many types of furniture.